Which Dragon is stronger? Shenron,Red Shenron 或者 Porunga. Ofcourse Ultimate Shenron (Red Shenron) ! Becouse he can Grant any wish like if u wish tht "Plz Kill Goku" then 悟空 will be Died ! This kind of can't be Granted 由 Shenron 或者 Pornga ! So tht's why Ultimate Shenron (Red Shenron) is Stronger ;-) !! 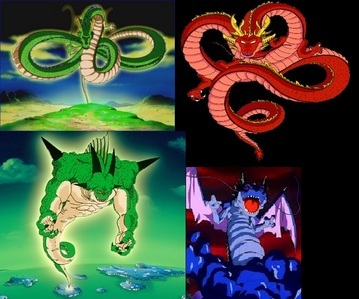 I know that re shenron is stronger but no one even mention the smoking shenron (blue shenron) is he iven strong?